While we are expecting the flagship Galaxy S8 to arrive earlier than we thought, new rumours offer more details about the upcoming flagship. According to popular tipster @evLeaks, the Samsung Galaxy S8 would have two variants bearing model numbers SM-G950 and SM-G955. 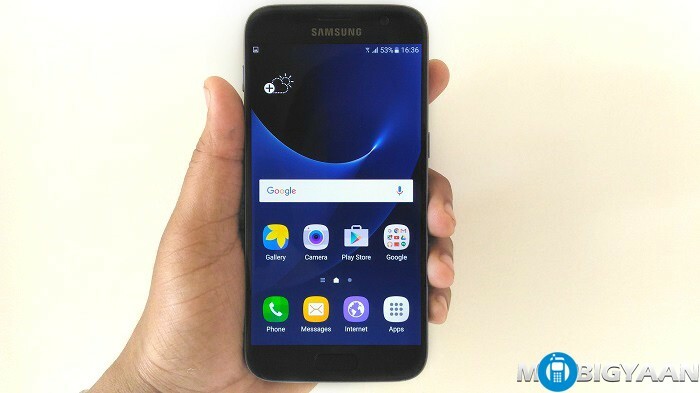 While we initially thought that we would see a regular flat version along with the curved edge variant, seems like the company plans to launch the handset in two different sizes – 5.7 inch and 6.2 inch. Rumours suggest that both the Samsung Galaxy S8 variants would have a curved edge display and are expected to have surprisingly narrow bezels. Clearly it seems like Samsung is trying hard to make up for the Galaxy Note7 debacle. The real question is whether Samsung would able to pull off a flagship with a massive 6 inch display or would it make people move faster towards Apple.